Living donor kidney (LDK) transplantation has become the definitive approach to the treatment of end-stage renal failure, providing a better quality of life and the best opportunity for survival when compared with dialysis or transplantation from a deceased donor. A timely compendium of the modern day practice of LDK transplantation from a group of outstanding international experts, this text explores a number of controversial aspects of this innovative new technique. Discussing in detail the current situation, the authors also focus on the responsibility of the medical community to the live kidney donor as a patient, and the potential for complacency regarding donor risk. Emphasizing the ethical principles that must dictate medical practice in LDK transplantation for the foreseeable future - voluntarism, informed consent and medical follow-up - this book comprehensively records the best practices currently available. 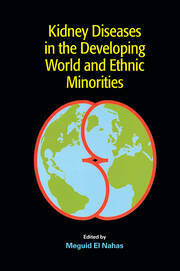 "…This book is worth reading by medical ethicists, those determining national policy, and medical professionals selecting and operating on living donors….an excellent reference." 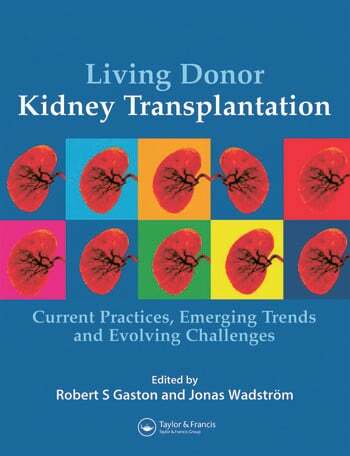 "…masterfully summarizes the changing face of living donor kidney transplantation….a timely and valuable resource." "…masterfully summarizes the changing face of living donor kidney transplantation…timely and valuable."